You are here: Home / Blog / Featured / What are the Risk Factors of Skin Cancer? The risk factors of skin cancer make it more likely that a person will develop the disease in their lifetime. Skin Cancer refers to cancerous cell-growth that begins in the cells of the skin. It is by far the most common type of cancer. There are three main types of skin cancer, each named for the type of skin cell in which the cancer originates: basil cell cancer, squamous cell cancer, and melanoma. Basil cell carcinomas, named for the cells in the bottom layer of the epidermis, are the most common type of skin cancer tumors and are the least dangerous of the three. Squamous cell carcinomas, named for the cells that are in the middle layer of skin, are less common but more dangerous than basil cells and more likely to spread. Melanoma, named for the melanocyte cells that create the pigment that gives skin its color, are the rarest type of skin cancer tumors, but are the most likely to spread and dangerous, and most likely to be fatal if left untreated. Some people are more likely to develop skin cancer than others. By collecting and studying data about the genetic characteristics, environmental influences, and lifestyle choices of skin cancer patients over many years, doctors have identified certain factors that are common among people who have developed the disease. While some of these factors have not been proven to cause skin cancer, each has been observed as being common among a significant number of people with skin cancer. Unlike some forms of cancer, skin cancer has been linked to several factors that, when present in a person’s biology, environment, or experience, increase the likelihood of that person developing the disease. These factors can be divided into two categories: genetic factors and environmental factors. Genetic factors are characteristics that a person is born with, while environmental factors include the things a person is exposed to over the course of his or her life. People who have already had skin cancer are also more likely to develop the disease again. There are many simple practices or lifestyle changes that can help prevent the development of skin cancer. Most prevention measures involve protecting oneself from the sun and avoiding certain chemicals. These measures are particularly important for people who have a high degree of skin cancer risk due to genetic factors or have developed skin cancer in the past. Limiting or avoiding exposure to the sun is the best way to help prevent skin cancer. If possible, stay indoors during the middle or the day when the sun’s UV rays are more direct. This period lasts from around 10 am to 4 pm. Spend time in the shade if you must be outdoors. Keep in mind that reflected sunlight can still cause dangerous blisters. Be aware of water, light colored surfaces such as pavement, glass, and sand that might be reflecting sunlight. Put on long sleeve clothing when possible. Long-sleeve sun shirts and pants, which are designed to be worn in hot weather, are available. Keep wide brim hats with you when you plan to be outdoors for a long period of time. Most visors and baseball caps fail to protect the back of your neck and ears. Also carry UV-resistant sunglasses. Sunscreen lotion should be worn on all sunny days . Use a broad-spectrum sunblocks that protects against UVB and UVA rays. 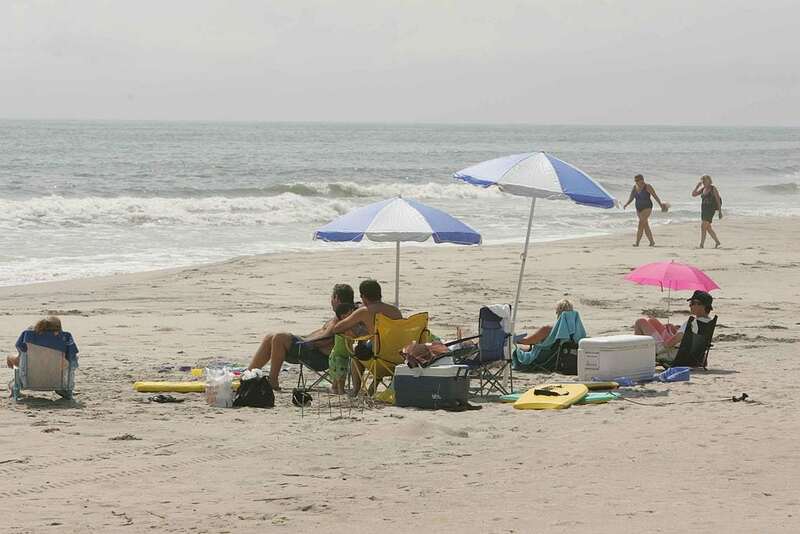 https://treatcancer.com/wp-content/uploads/2014/03/Sunbathing_on_the_beach_under_parasols-1.jpg 683 1024 Southeast Radiation Oncology Group, P.A. https://treatcancer.com/wp-content/uploads/2015/08/SERO-logo-PNG-450x174.png 2014-07-04 20:28:372016-03-21 17:53:30What are the Risk Factors of Skin Cancer?